Hello pie lovers, have you been missing your meat filled fix of pastry based ramblings? I know have. 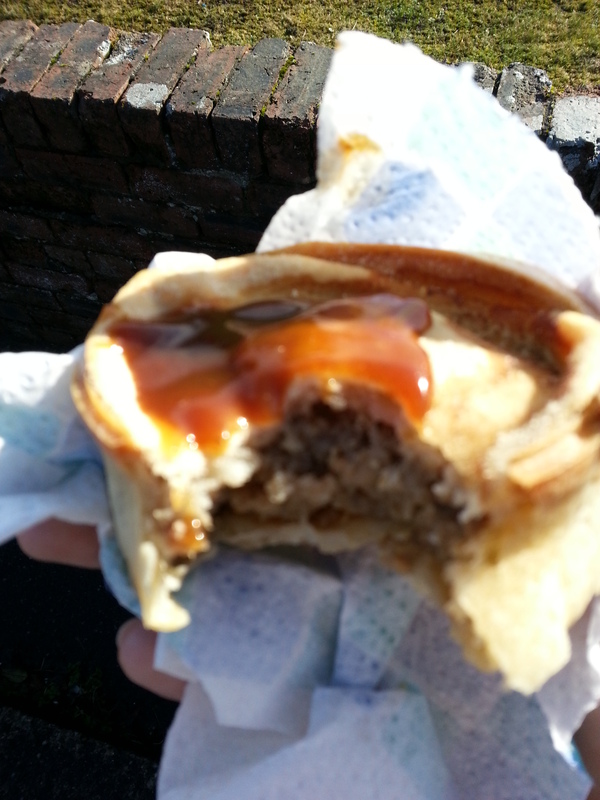 It’s been a hectic couple of weeks meaning that footballing visits have been restricted to Saturdays and as such the pie trail has gone a little cold recently, but fear not I’m back with a wee special edition for you, the Kirkintilloch Rob Roy pie. What makes this pie special? This pie is where it all began, the very first pie reviewed on Meat Filled Pastries. So why am I reviewing it again, I though this was only for new pies? Well quite simply I want to do a proper job of it this time. When looking back on the review it is apparent that this pie review had suffered for the pressures of being the debut edition as it turned out to be a little sparse in its detail. So on this occasion I want to give it the full beans, something which appropriately enough goes rather well with a steaming hot pie. 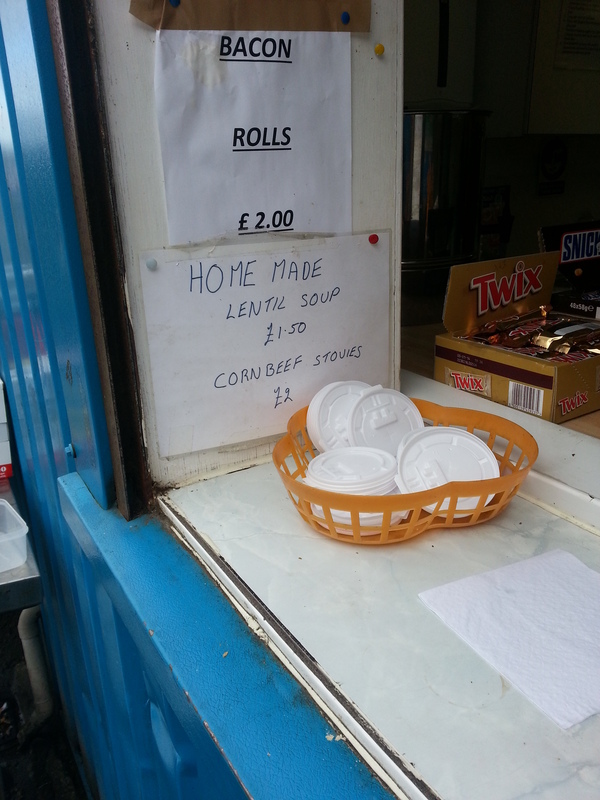 Price: A bargain price of £1 ranking it as one of the cheapest pies found on the menus of kiosks up and down the country. Presentation: Much like the first time this pie was presented in a single sheet of floral print kitchen roll, a welcome distraction from the usual monotony of the medium sized white napkin. Meatiness: This was a perfectly pleasant meaty morsel. The meat was of a coarse mince texture but held together very well meaning the bite you took was a true representation of the amount of pie that actually ended up in your mouth. The base taste was more savoury over the usual peppery nature of a scotch pie but there was also a background note of sweetness to it something I assumed was coming from some well softened onions deep within the mix. It would have been easy to attribute the sweetness to the dollop of brown sauce sitting proudly on top of the pastry but the taste was definitely coming from this pie’s meaty core. Pastry: When I do these reviews I send myself a quick text message with the price, presentation, tasting notes etc. As I review my notes on this pie I notice that I have nothing about the pastry. Zilch. Nada. Nienti. Hee-to-the-Haw. Now when this happen it usually means one thing, and as I rack my brains going back to the moment my lips were caressed by a combination of pastry and meat I believe that this one thing is applicable on this occasion. That one thing being that the pastry was alright. Nothing better or worse and sometimes that’s all a pie needs. Let’s move on. 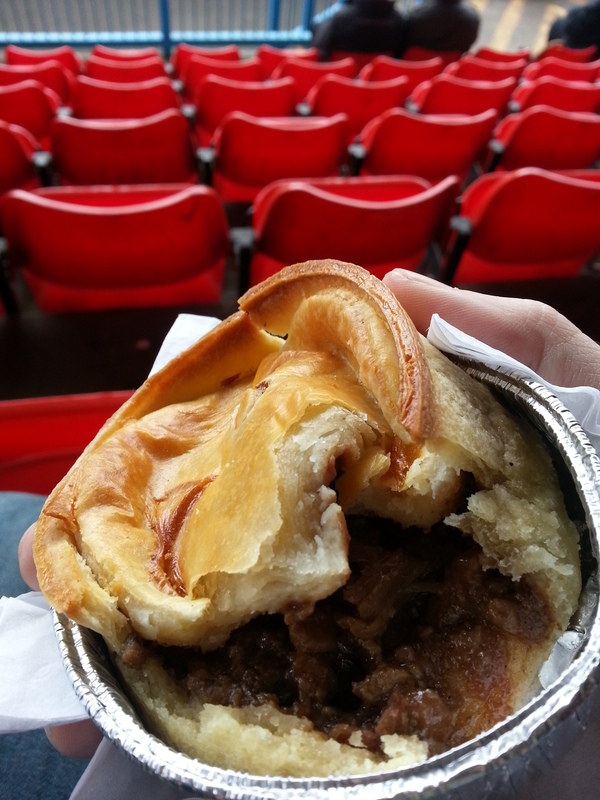 Overall: As a return to pies goes this one was defiantly worth a re-visit. It certainly appears in retrospect my first assessment may have been a tad harsh on this little pie. It was tasty, tasted of meat and the note of sweetness differentiates it from the rest of the pack. Gravy Factor: Better than Bog Standard Bisto. That felt good, I was worried I’d forgotten how to write about pie for a minute there. Next weekend I have the pleasure of a ski focused stag do to go to so where the next pie will come from at this time I just don’t know, Strathspey Thistle are at home and just down the road from our lodge so if the snow doesn’t play ball you might get something from the Pighlands (rubbish pun!). But as always, until next time, go forth and eat pie! 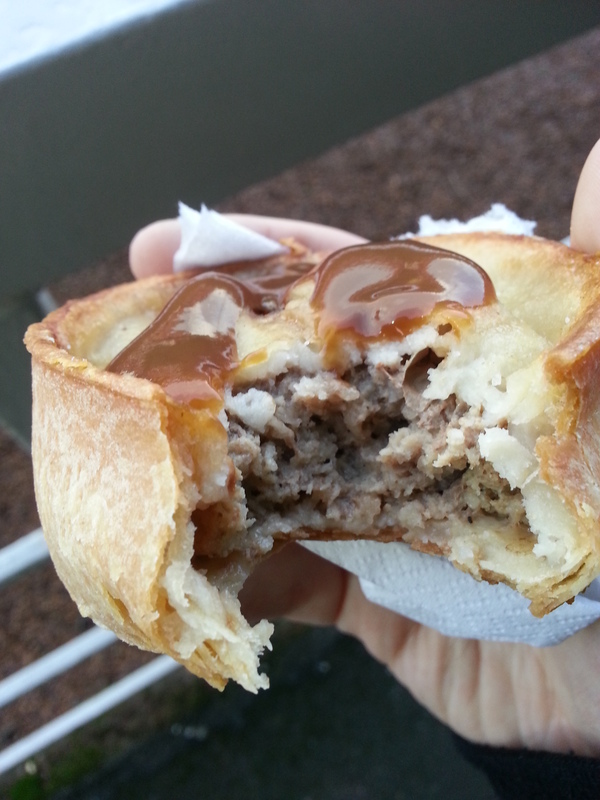 This entry was posted in Football Pies, Junior Pies, Sporting Pies and tagged adamslie park, brown sauce, Football, Gravy, highland league, junior football, kirkintilloch, leading the line, Meat, meat filled merch, meat filled pastries, mince, pastry, Pie, pollok, rob roy, strahspey thistle.